Tenney Flynn is our Chef of the Year! We've got the easy guide to find the best Wild American Shrimp. Recipes crafted by our chefs featuring Wild American Shrimp. From nationally acclaimed restaurants and popular food blogs. How to tell if you're buying Wild American Shrimp. Every shrimp has a tail; but our wild-caught, American shrimp have a story that is rich with flavor, history and adventure! It’s also a story of hard-working, shrimp industry families that dates back to when shrimp were harvested on wooden sailing vessels and peeled by hand. It’s the story of American jobs, livelihoods and an industry’s resilience against disasters and tough times. Beyond the history and heritage, it’s the story of an all-natural, healthy food that travels directly from the warm, nutrient-rich waters of the Gulf of Mexico and South Atlantic to your table. It’s the story of new processing technology that suspends freshness until cooked. And best of all, it’s the story of what top chefs around the world agree are the best-tasting shrimp! We invite you to browse our site. 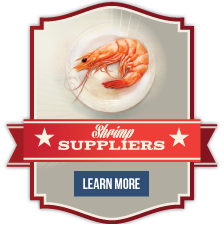 It’s a hub of information where you can read our stories, sift through Wild American Shrimp recipes and most-importantly, learn where you can purchase the best shrimp in the world – Wild American Shrimp! Sign up here for the latest press releases, breaking news, and other updates for Wild American Shrimp!